Singer Ash King talks ‘Aunty Ji’ from Ek Main Aur Ekk Tu and more! 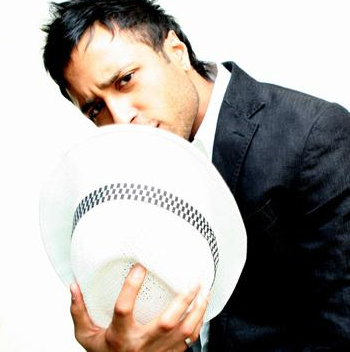 Though still new to the Hindi film music industry, Ash King certainly has made his mark. He quite impressively began by singing for AR Rahman on the Delhi 6 OST and then we heard him on ‘Suno Aisha’ from Aisha. He sang some great tracks in 2011 including the hits ‘Te Amo’ from Dum Maaro Dum and ‘I Love You’ from Salman Khan’s Bodyguard. With each new track his voice sounds completely different and that is what makes him so good. In fact, when I first heard his newest track, the rock/jazz infused ‘Aunty Ji’ from the upcoming film Ek Main Aur Ekk Tu, I went searching to find out who this new singer was only to find out it was Ash in a completely different singing avatar! 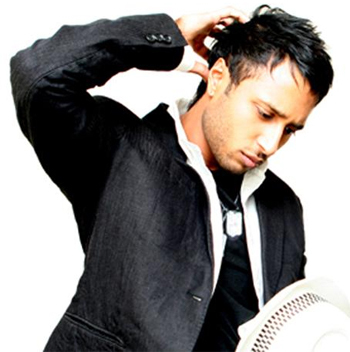 Ash took time out tell Stacey about the song, his new sound and what it’s like to work in Bollywood’s playback singing industry. Your latest Bollywood track is for Ek Main Aur Ekk Tu. How did the song ‘Aunty Ji’ come about? Amit Trivedi had worked with me on the song ‘Aisha’, so he knew my voice and the versatile sound I have. We met with the director of the film Ek Main Aur Ekk Tu and at the time the song had not been fully created. I was there when the song was being made…I then put my vocals to it and there we have it – ‘Aunty Ji’ was created. It was great to be part of that vibe. You sound so different on this track …tell us about what the music director said he wanted from you vocally and the brief he gave you. Amit knew that I used to sing in a gospel choir so he knew the variation of my voice. He told me to be myself and to hold onto my Gospel tones. I sing in Western and Hindi so Amit guided me by encouraging my Western delivery of the song in Hindi. It’s got a really Rock & Roll flavour to it and I enjoyed that, he wanted all that jazz that comes with Rock & Roll. Amit Trivedi challenges me to bring all of my cultural influences into a song. I am British and I’m Indian – I think my sound reflects that well. How would you describe the track musically? The song to me comes from the era of Jerry Lee Lewis – the Rock & Roll era. It’s got a quirky spoof twist to it, an edge that also taps into a soulful gospel sound. How is it to work with Amit Trivedi? It’s great to work with Amit and I would love to work with him some more. Give us some insight in what it is like to record a song for a Bollywood film. It is very different to working in the west. I like the organic approach; I’m still learning how things are done because I’m new to the Bollywood industry. It’s fun; it’s great to be here. I love that the song brought out another layer of my voice – it gave me a chance to show that style. Kishore Kumar always varied his style and I aspire to have that variation. The range of Bollywood songs have all been quite different from ‘Delhi 6’, ‘Te Amo’, ‘Aisha’, ‘I Love You’ and now this one. Is it ever a surprise for you to see what happens on screen to the song you have sung? Yes, it’s always a surprise. I don’t always know what’s in the director’s mind. However, when I did ‘Delhi 6’, Rakesh Mehra really guided me. I like to sing in a way that even if the listener has not heard the song they can get the essence of what it is about and the experience we are trying to create. That usually comes from a good music director’s brief. Are you excited about how your career is going in Bollywood? Yes, 2011 has been a great year. I have entered the industry with hits and people like Imran Khan, Salman Khan, Bipasha Basu and Kareena Kapoor have been promoting these songs that I’ve sung. That’s special. It was a dream come true to start my Bollywood career working with AR Rahman in Delhi 6, and now in 2011 adding to that has been special. The highlight has to be the success of ‘Te Amo’ from Dum Maaro Dum and ‘I Love You’ from Salman Khan’s Bodyguard. To come to Mumbai and to travel around India hearing songs that I’ve sung on the radio is a true highlight. Any more exciting Bollywood tracks we can look forward to in 2012? I’m working with Mithun, but can’t yet say what, and I’m hoping to see some more of Pritam’s magic. Let’s see. I love working in Bollywood and I look forward to getting more songs. What is coming up from you in your non-filmi work? I am looking forward to releasing some of the singles that I have been working on and to tour around India. Its un-chartered territory for me and I want to explore kick starting my live shows in India. There is much more to come both on the western front and in India. I look forward to 2012! We certainly can’t wait to hear what he has in store for us in 2012! 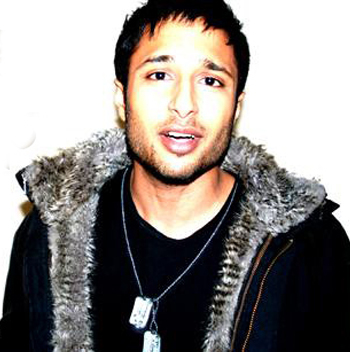 Check out the jammin’ ‘Aunty Ji’ and the smooth rockin tones of Ash King!